The club was founded many years ago by cavers in the London area - hence its name Chelsea. But now there are around 100 members, ranging from novice upwards, living all over the UK. The main focus of our caving activity is in South Wales, based at our cottage, but a proportion of our caving meets each year are held elsewhere in England and Wales, and sometimes abroad. The Society owns a cottage called Whitewalls on the hillside above Llangattock, near Crickhowell in the Brecon Beacons National Park. Some of the largest caves of this area are within walking distance of our front door. There is sleeping accommodation for 16 people, a well-equipped kitchen, common room, library room, central heating, changing and shower facilities, a garden and camping area, and car parking adjacent. We hold caving weekend meets at least monthly. Those based at the cottage often combine a social event on the Saturday evening like a summer barbecue, our curry-making night, and November bonfire party. We book other club’s huts for meets held further afield. 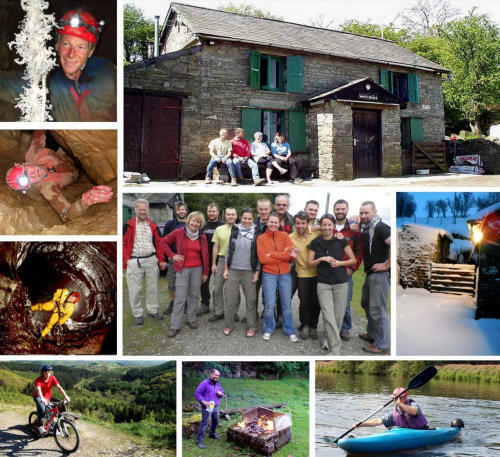 Occasionally we run non-caving weekends like local kayak trips, walking and mountain biking.